If you regularly surf the internet, you’ll find that not all websites always work smoothly. It’s common to come across 404 error messages, as the server issues a 404 status code if pages are not found. 403 errors are less common, but they are also possible. These occur when a client accesses a resource for which they have no authorization. In this article, we explain what causes a 403 error code, what consequences this can have, and what you can do about it. What does an error code 403 mean? If a client such as a browser wants to retrieve a URL from a server via http, the server first verifies this request. If the page exists and can be displayed, the server sends the status code 200 OK. The browser can then load the website and display it to the user. This “transaction” between the client and server usually goes unnoticed by users, unless errors occur. The most common errors you encounter are 4xx errors – these belong to a class referred to as client errors. Error 403, just like error code 404, is one of those. Now, if a browser connects to a server via http, the server can deny access. In this case, the server will return the 403 code and the browser cannot access the desired resource. Figure 1: Notification from the server when attempting to access an admin page of a WordPress blog. Even if error code 403 initially suggests a client error, it is ultimately due to the server settings or the settings of the respective CMS, whether a client has access to certain directories or URLs or not. If URLs cannot be displayed by browsers, they have no added value for website visitors. A 403 error inevitably leads to a negative user experience and significantly limits your website’s usability. As a result, your site may not be visited as often if 403 errors frequently occur. From a search engine point of view, a 403 error is also a problem because the Googlebot cannot crawl the contents of the URLs in question and render them like a browser. There is therefore a risk that the pages might be removed from the Google index. In 2014, Matt Cutts granted a grace period of 24 hours if the Googlebot had found a 403 page. According to Cutts, that’s the length of time the system allowed the URL to remain in the crawling system. So one thing is clear: If a URL does not deliver content for a client request, even a Googlebot request, it will be removed from the index. Reasons for a 403 error code. Exclusion from restricted login areas: websites can block ordinary users from accessing certain admin login areas. For example, access can be restricted to specific IP addresses or VPN access. As a rule, these URLs are not relevant for the standard user and cannot be accessed via the frontend. Only site administrators have access to these pages. You have created a new area on your website, which has not yet been completely edited and can only be accessed after logging in. However, you have inadvertently already set an internal link to this area via the menu. The server admin has inadvertently blocked an entire directory for unauthorized users. This can be caused by an incorrect configuration or syntax of .htaccess file events. The server has restricted the website reading privileges for all users and all areas. 403 errors can also occur for bots when they try to crawl your site. For example, if the Googlebot is not allowed to search important directories due to the defaults in robots.txt, which are important for the functionality of your website, this might result in this kind of error. “Forbidden” errors are also possible if you use the robots.txt to exclude central directories with content from being crawled. Ryte can help you identify 4xx errors. The quickest way to find out about these errors is to click the “Critical Errors” report found in the Ryte Dashboard. In addition, you can use the Ryte Website Success tool to check the status codes of your website. Take note of when your project was last crawled. Figure 3: Check status codes of a website with Ryte Website Success. Figure 4: Determining crawling errors with the GSC. What can I do about 403 errors? If access to directories or URLs on your website is denied to clients, you should take action. Figure 5: Check robots.txt with Ryte. The Google Search Console is also suitable for checking robots.txt. You can find the report in the segment “Crawl” in the old version of the GSC. 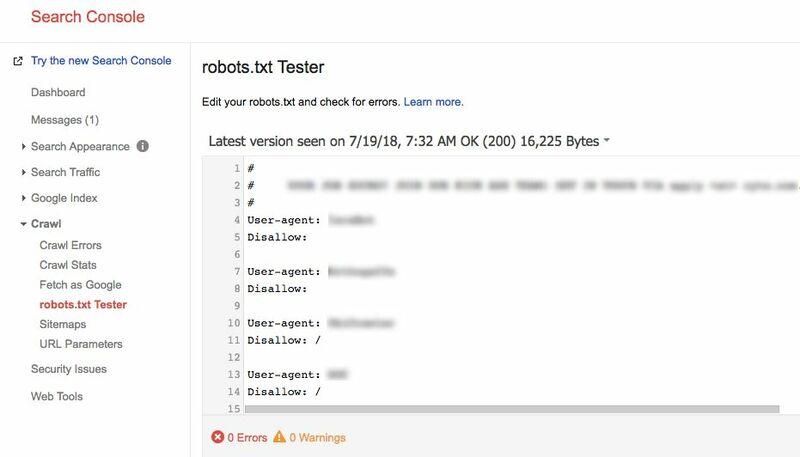 The robots.txt tester has not yet been integrated into the new user interface (as of July 2018). With the tool “Fetch as Google,” you can check whether the Googlebot is prevented from crawling important areas due to restrictions in the robots.txt. 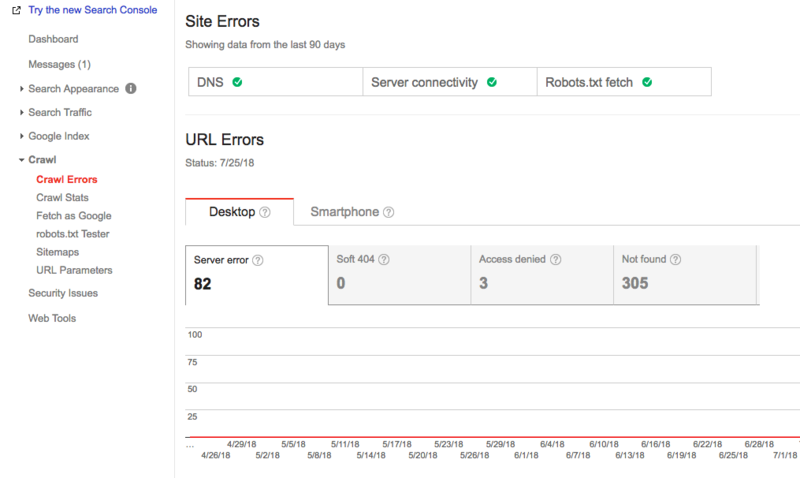 403 errors are first and foremost client errors, but these errors are also caused by an incorrect configuration of the server or the robots.txt file. If you have 403 errors on your site, you should act quickly – otherwise Google will de-index your URLs as they do not deliver content and are negative for the user experience. Published on 07/26/2018 by Philipp Roos. Awesome Post, This will help me lot for this type of server error issue. I face many challenges personally. Thanks for your post great information! Philipp is an extended member of the Ryte family and supports Ryte with the latest SEO know-how and digital marketing news.